Since I’ve started my communications career I’ve believed in the value of internships. First, MarketingMel was a TV news intern, at my hometown television station (WKBW-TV) in Buffalo, N.Y. Ever since that great educational (and unpaid) college internship I have tried to pass on the benefits of mentorship to those who come after me. 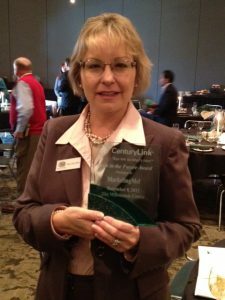 Last week I was honored and humbled to win an award sponsored by CenturyLink and the Johnson City Chamber of Commerce called “Faith in the Future.” My company, MarketingMel, was one of two winners in the Entrepreneurship Category. Here is an excerpt of the comments I presented to the illustrious group of business professionals gathered at the luncheon. Century Link and the Chamber, thank you for hosting an awards program called Faith in the Future. How honorable to reward businesses for making an investment in our community. To me there is no finer investment than mentoring the next generation. Since starting my business nearly four years ago, I have invested in the future workforce most notably through an intensive mentoring program with rising ETSU public relations students. 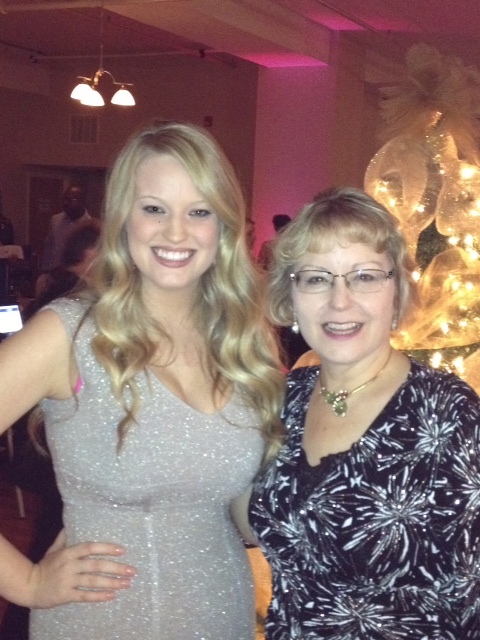 My former intern, Sarah Rowan, has already gone on to great success as Director of Sales for the Chamber of Commerce. My current intern, Kristen Pierce, would be with me now but she is in class. Young professionals are where we seasoned veterans need to spend our time for they are the future and I have a lot of faith in them! I want to thank my clients for making all this possible and having faith in my communications abilities. They too have encouraged Sarah and now, Kristen. MarketingMel’s strategic plan has a personal mission statement written above the company’s mission. It says, simply, “to glorify God in my work and in my family life.” Thank you for this award as it helps to fulfill that mission today. Do you have faith in the future? Please share your stories of lending a helping hand to the next generation. Congratulations on receiving the “Faith in the Future” Award. Kudos to you for mentoring the next generation. Congratulations! There is no one more deserving. My internship has been one of the most amazing experiences. I owe it all to you. Awww thanks so much Kristen. I am enjoying our public relations adventure together! How totally cool about the awards, many congratulations. I definitely believe in investing our time working with future generations of entrepreneurs. Mentors have shaped my life and my work, the least I can do is pass it on. Thanks Sue. Yes, they are our future! Congratulations Mel! You do a wonderful job of mentoring and the award was well deserved! Thanks so much Sarah! I so appreciate your support and ongoing friendship! Congratulations on the awaard. Investing in the next generation is a great legacy to pass on. Thank you Bill. I agree on the importance of leaving a positive legacy. Mel – I love that you’ve been able to find such success for your business and for your interns. Congratulations on the award and on making the time to be a mentor! Thanks so much Jennifer. It’s really important to me to mentor these great young people!